The GR-174 is a "Gran Recorrido" path, belonging to a network of long-distance footpaths, and one which runs through the Priorat from the mountain pass called Coll de la Teixeta, near Porrera, as far as Albarca, a village located in the most easterly part of the Sierra de Montsant. On the bottle label you'll find a small map showing it - a 72-km path which showcases this region's precipitous and mountainous landscape, bordered with woodlands, vineyards and olive groves. It makes visiting its singular towns possible — places steeped in wine-making history, medieval in character, with stone houses amid lofty streets — and looking round the Sierra de Montsant Natural Park to admire its exceptional sights and even visiting the ruins of the Cartuja de Escaladei, the ancient Carthusian Monastery. It's not a difficult path, as accessible and easy to enjoy as this wine named after it. 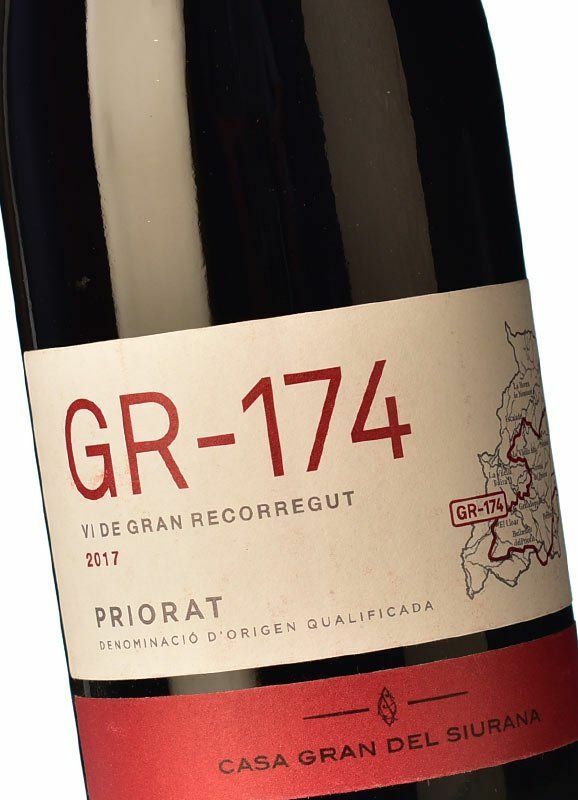 GR-174 is a very easily drinkable wine, open and remarkably lively! 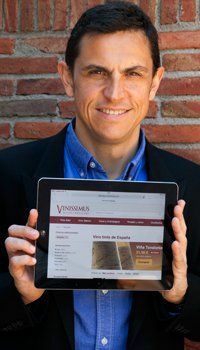 It's fundamentally a young wine, made primarily from Garnacha (40%) and Cariñena (20%), aged only partially in oak and just for a few months, and that's how our senses discern it: abounding with primary aromas and flavours, with plenty of fresh crisp fruit, without too much extraction yet not lacking body or powerfulness either, but it's unusual to come across a light-bodied wine in this denomination! 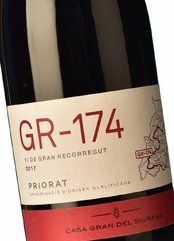 GR-174 appears a very vivacious colour in the glass, a bright ruby colour, and although it has sufficient acidity to evolve over several years, it's already superb now, very likeable and with a velvety texture. On the nose, it offers floral notes and above all plenty of ripe fruit, with a very refreshing menthol touch, and lots of volume; it's very juicy, oily, with a lovely sweetness emanating from that ripe fruit, profound and intense. So then, a wonderful walk through the countryside we mentioned earlier: dusty tracks lined with cistus bushes, thyme, lavender... their scent perfuming our path in the warm, dry, daytime air, yet cool at night. When the last drop has gone, you'll be left feeling that you've been out in the vineyard picking the grapes. Delicious fruit and a stunning landscape. Two experiences we advise you not to miss out on, fantastic at any time of the year. 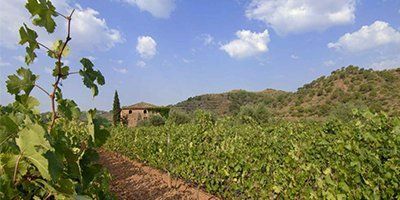 The merging of two estates, Casa Gran and La Fredat, in the municipality of Bellmunt del Priorat and the new Perelada project in the Priorat region.